Over the last week or so, we've been starting to see a wide variety of statements being made about the next instalment of Call of Duty, which most assume to be Modern Warfare 4. 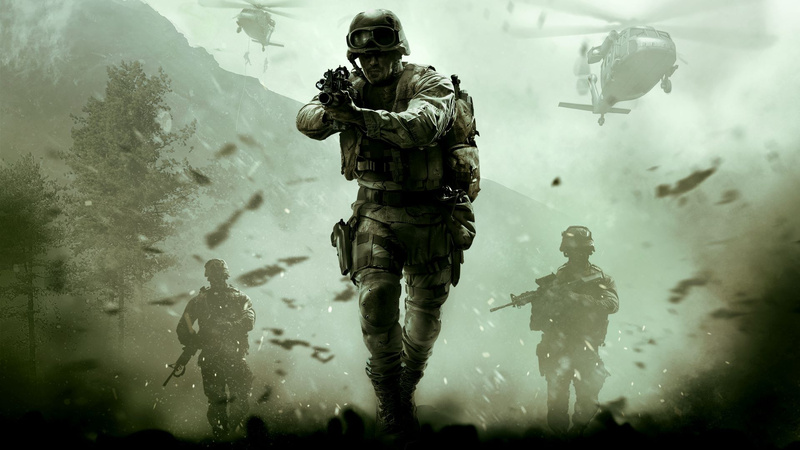 Infinity Ward is up next in Activision's development duty merry-go-round, and while the continuation of the Modern Warfare series isn't out of the question, it's of course not been confirmed. However, that hasn't stopped everyone from running with the idea, and we're seeing all manner of rumours. A promotional image (see above) was supposedly leaked before being quickly debunked, but one site in particular is claiming to know lots of details about the unconfirmed title. According to Gaming Intel (or its sources, anyway), Call of Duty: Modern Warfare 4 will include fan favourite multiplayer maps and weapons from previous entries, but Specialist characters, Zombies, and Battle Royale will all be excluded. We only have this site's word to go on, so take all this with a pinch of salt. There's no knowing what Infinity Ward's plans are for its next CoD, but there's certainly some reason to believe the Modern Warfare 4 angle. With Modern Warfare Remastered currently on PS Plus and yet more rumours ablaze regarding a remake of MW2, it starts to make sense. As for no Zombies or Battle Royale, that's not too far fetched. Zombies mode has appeared in Modern Warfare before, and Blackout has been a big success in Black Ops 4, but it makes a degree of sense to leave these out assuming Activision's comment about an "entirely new campaign" is true. If we take these rumours as read, it would make for a pretty back-to-basics Call of Duty; a story campaign, and regular online multiplayer with no Specialist classes or Battle Royale to complicate things. An official reveal can't be too far away now, so it's only a matter of time before we know something concrete. What do you think about all these Call of Duty rumours? Are we getting Modern Warfare 4, or something else entirely? Check those corners in the comments below. A full campaign mode, no Battle Royale with Activision listening to its fans? This does not compute. If it means the return of Price, then hell yeah. I only hope they could make the campaign as big and dramatic as the first two MW games. All seems legitimate apart from the exclusion of BR, that's practically de rigueur. I need MW2 remastered. Love that game and the maps. Also nukes! Just give what players secretly want: Infinity Warfare 2! I know you're thinking the same as I do, why haven't they hired me yet, I don't know either! Remember when it started as Call of Duty 4: Modern Warfare? Would this be Call of Duty 4: Modern Warfare 4? This article is not wrong but i do find it very confusing because of the name of the game. We already have Call of Duty 4 Modern Warfare (as part of the ps plus collection this month of course) but this refers to a completely different game in Call of Duty Modern Warfare 4 which sounds almost exactly the same but refers to a completely different game. Maybe it's just me but surely its gonna lead to confusion for the general public who will confuse a sequel with an old game. @Dange I was thinking much the same as I wrote this, to be honest. I would love a remastered black ops 1. @Nyne11Tyme and Capcom, Sony and Nintendo in recent times. depends if they're going to replace zombies with something like the spec ops stuff that MW2 had - which i actually preferred over zombies. 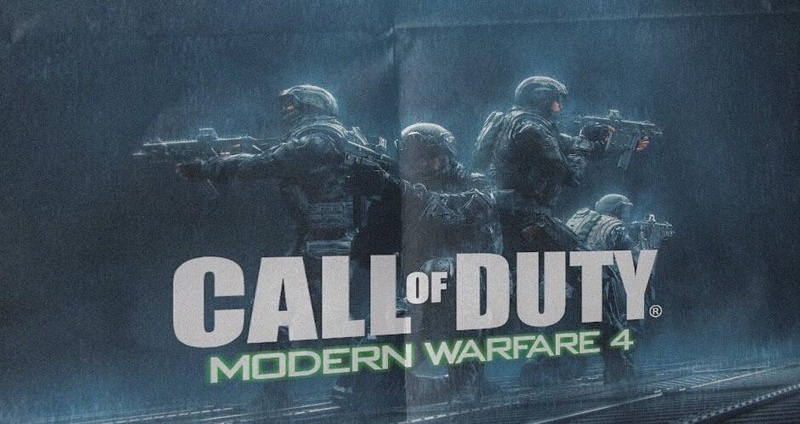 i'd be surprised if it's just campaign + traditional multiplayer. if true, it would be somewhat disappointing that they've returned to the Modern Warfare brand.. it's almost as if they've no ideas or little faith in an alternative (i know infinite warfare was fairly divisive) and have decided to rely on brand recognition alone.. the problem with that is it might be unfavourably compared with the first one, and MW3 was a bit crap. Last COD I played seriously was MW2. Tried a few of the others and didn't like any of them. My most favourite COD element was always Co-Op Special Ops. Literally hundreds of hours played. I hope that they bring Spec Ops back. It was one of the best split screen experiences around and we don't all want to play Fortnite with chavs. Well they just announced a mobile CoD. Personally, I wouldn't be surprised if the Battle Royale mode goes free to play with each new developer adding a 'new' map or two to the pot. It doesn't make sense to me that Treyarch's Battle Royale mode is replaced by Infinity Ward's which in turn is replaced by Sledgehammer in the same way the 'seasons' of Multi-player have been in the past. Therefore, I can only see that Battle Royale mode becoming free to play and all developers involved in making Call of Duty - maybe even just Raven taking maps from each developer and combining them in some way to add a 'new' map to the list.